Happy holidays everyone! 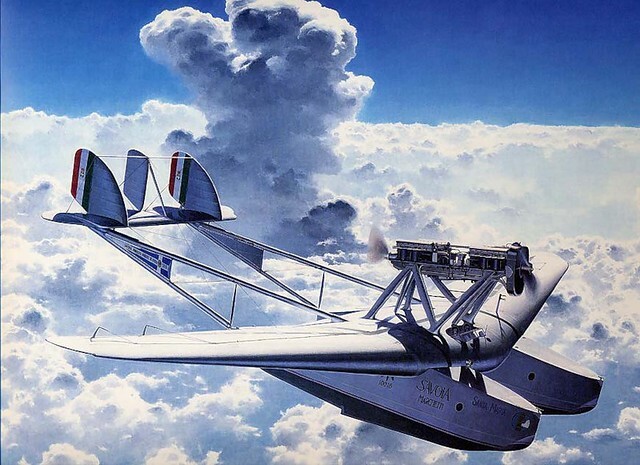 The Saturday Air Mail is here with the most incredible serial-built flying boat of the Interbellum. An epoch-making design in every sense, the S.55 prototype flew in 1925. 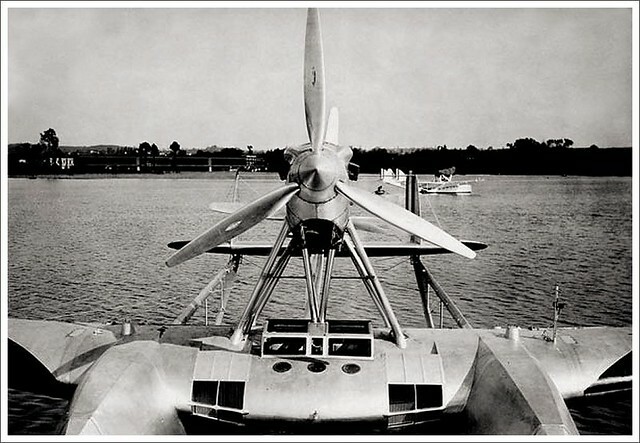 In an era still committed to the biplane flying-boat, it had a revolutionary formula: a cantilever shoulder-wing monoplane with twin hulls and delicate booms supporting a twin-fin triple-rudder tail assembly. 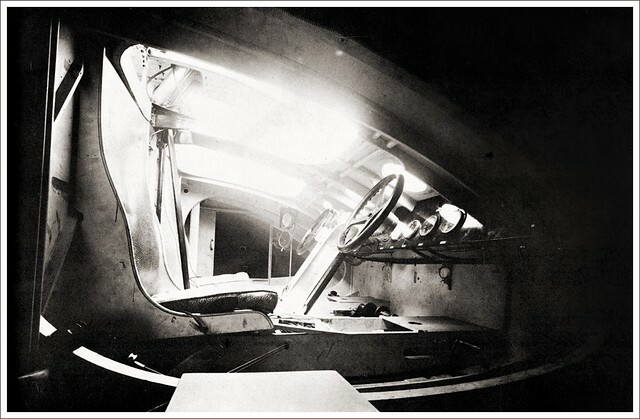 Side-by-side pilots' cockpits were located in the leading edge of the wing centre-section. 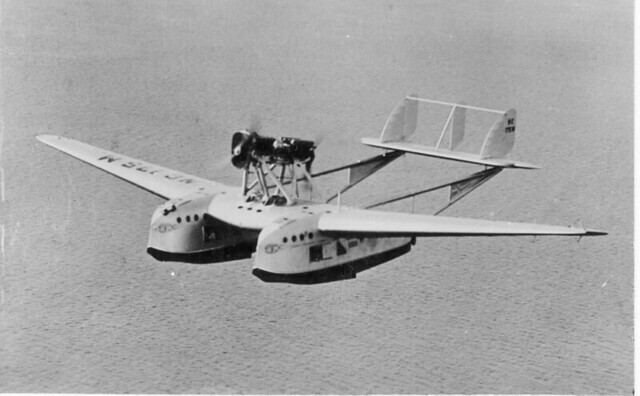 Twin tandem engines were carried on struts over the wing. Originally these were 298kW Lorraines, but power was gradually increased to 559kW Assos on the 1933 S.55X. Total production exceeded 200. The type formed the main equipment of Italy's maritime-bombing squadriglie for many years, 13 remaining on charge (but in reserve) in 1939. The S.55C and S.55P civil passenger versions operated Mediterranean routes for a decade. 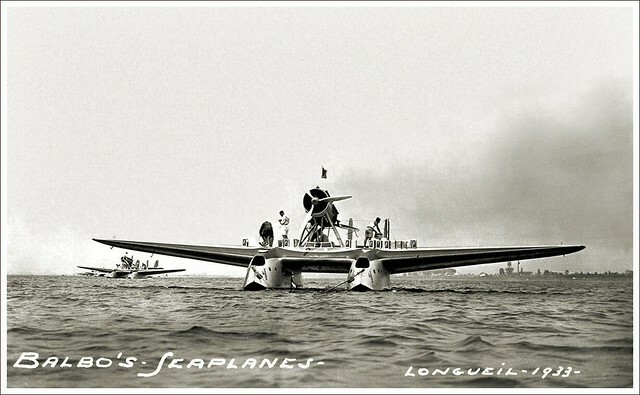 The S.55 achieved great fame through spectacular long-distance flights: Lieut-Col the Marchese de Pinedo flew the Santa Mariafrom Sardinia to Buenos Aires and then through South America and the USA in 1927; later Brazilian, American and Russian crews achieved world headlines. The S.55 will be chiefly remembered, however, for the remarkable mass formation flights led by the famous Italo Balbo. 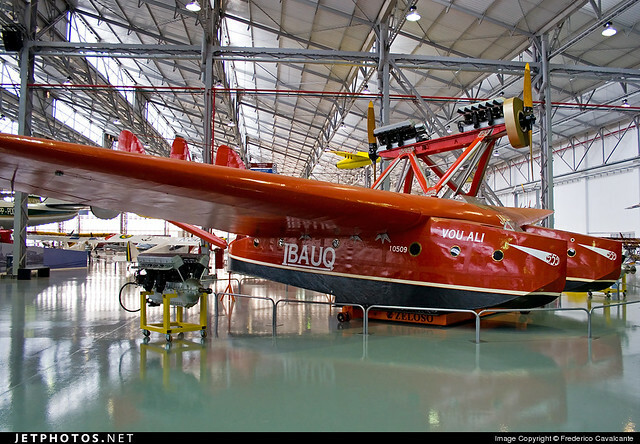 The first began in December 1930 when specially modified S.55As covered 10,400km between Italy and Brazil. 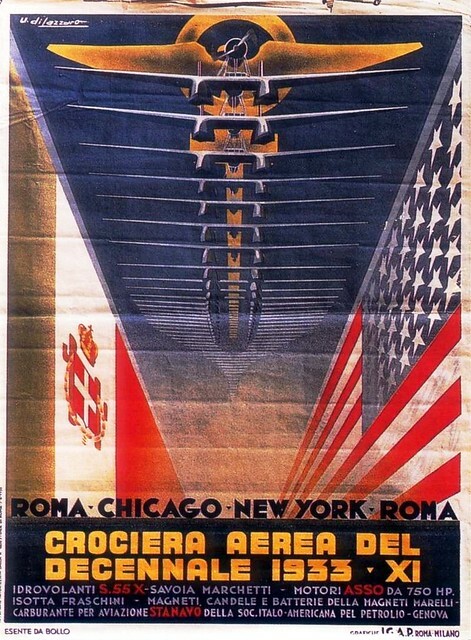 The second flight (three years later) was even more impressive: 24 S.55X machines overflew the Alps and continued in stages via Iceland, Greenland and Labrador to Chicago for the 1933 Century of Progress Exposition. 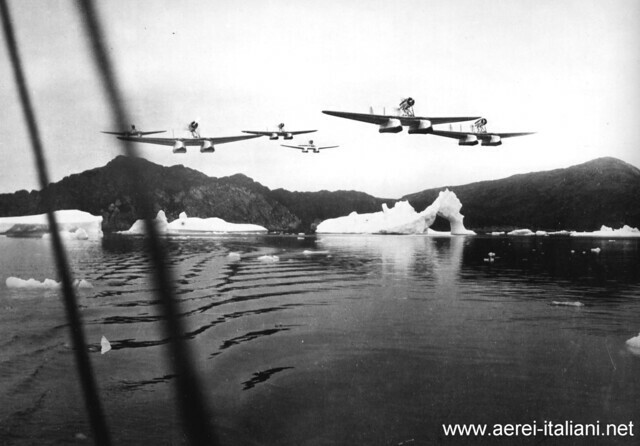 The international press coined the phrase 'Aerial Armada' to describe the flights. 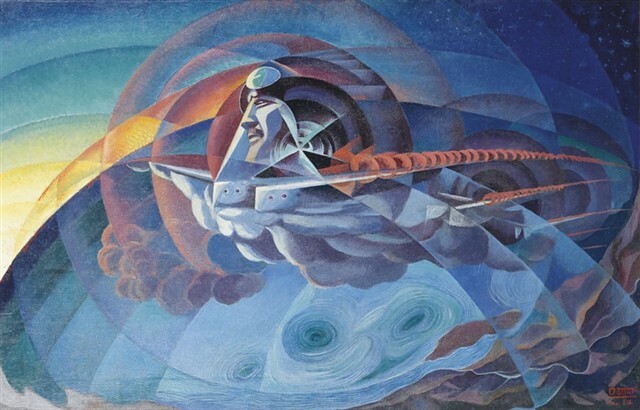 In 1932, an S.55 purchased by the USSR flew 14,000 mi from the Savoia-Marchetti factory outside Florence across Sibera to Petropavlovsk on the Kamchatka Peninsula. Next year was marked by a 20 hours non-stop Vladivostok - Petropavlovsk flight (4500 km). Here in Rio de Janeiro, we have a replica placed in a public garden. Using the Google Earth with coordinates 22º55'58.9"S - 43º11'04.32"O, you can reach de monument. The Brazilian Mail issued a stamp in 1977, in homenage of this historic fly. What a wonderful Christmas present! 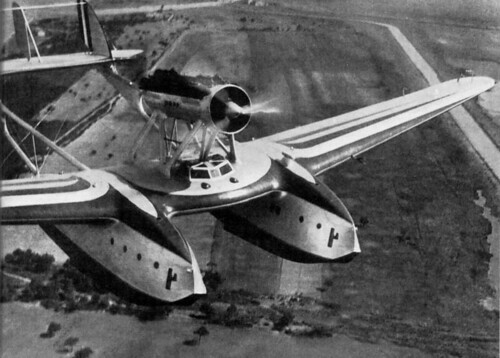 Nothing says joy like a S.55, a Bel Geddes dream made real. Thanks, lord_k!